The bank’s ordinary margin reached € 256 million in 2016, up 3% on the previous year. The bank’s solvency (25.5%) and liquidity (65.58%) remain well above the European average. The Andbank Group closes 2016 with the satisfaction of having fulfilled the objectives set. Andbank has again beat its record high to date in revenue generation, with an ordinary margin of € 256 million, which confirms the excellent capacity of the business model in generating income. In a complex international environment, this good result is due to the consolidation of its specialized model in private banking, geographical diversification and the trust that customers have placed in the bank. 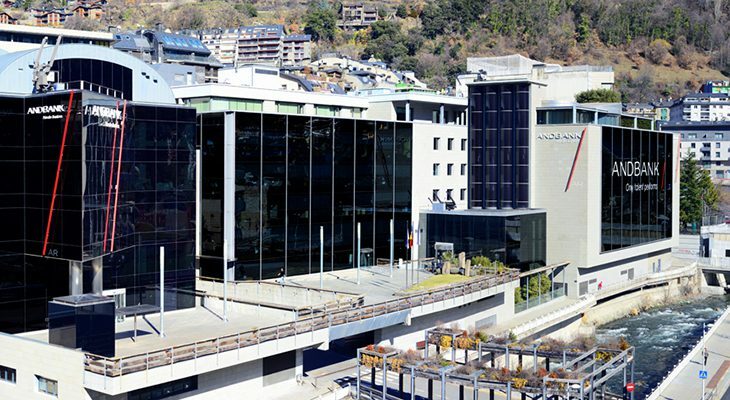 Equity under customer management has remained at around € 22 billion, reaffirming the group as leader in Andorra. These data consolidate the positive trend that the bank started in 2008, with a cumulative average annual growth rate of 16.5%. With interest rates at historical lows in the Euro Zone, the investment in international growth, and taking into account prudence criteria in balance sheet management, the Andbank Group closed 2016 with a net profit of 47 million euros, 19% higher than expected. The company’s good results in 2016 have been reinforced by a solid capital structure and a comfortable liquidity position, with a ratio above 65% (well above the minimum required of 40%). In addition, solvency has increased to 25.50%, classified under the terms of Tier 1, according to Basel III, at 15.8%, and exceeding the capital requirements of equivalent European banks by more than 50%. The CEO of the Andbank Group, Ricard Tubau, emphasized that “We’re very proud not only of the results obtained this year, but of the long-term project we are carrying out. Our unique business model, focused on specialization in private banking, international diversification and technological innovation, has allowed us to attract top professionals who have come to complement the already excellent team that currently forms Andbank”. Attracting talent has been and will continue to be one of the main objectives of the Group’s strategic plan. Recent new hires include Antonio Castro, a former director of Barclays Spain, who has been the company’s new Deputy General Manager since the beginning of this year, as well as José Manuel Araluce, who will chair the bank’s Ethics and Compliance Committee. This strong strategy has also been recognized by the prestigious British magazine The Banker, published by the Financial Times Group, which has awarded Andbank the prize of Best Global Private Bank 2016 for the third consecutive year. With these accolades, the publication has recognized more than 85 years of experience in private banking and wealth management, as well as the international growth and diversification of the group.